(Squash, Hubbard) The Hubbard Squash is the largest squash we have seen in the markets. 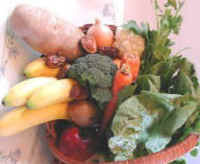 Its orange flesh is very good tasting, and the whole squash is excellent for stuffing as the entree of holiday feasts. See our recipe for stuffed Hubbard squash. Select a squash that is free from bruises and has a good appearance, if you intend to stuff it (also make sure it will fit into your roasting pan). 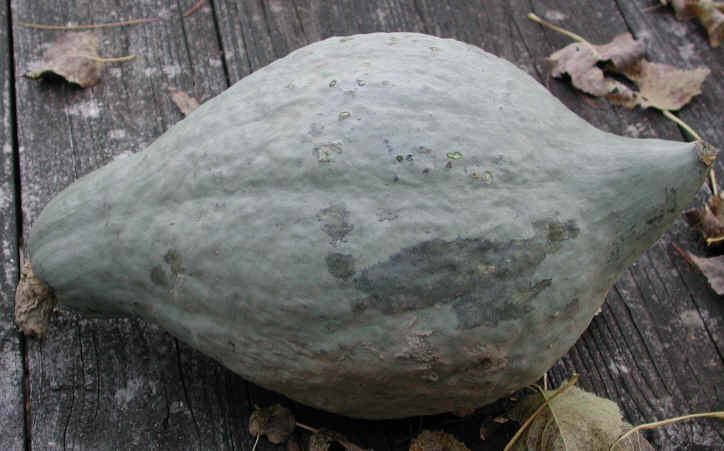 The Hubbard squash received its name from Elizabeth Hubbard sometime around 1842, after she distributed the seeds of this previously un-named squash produced by Knott Martin. Our first encounter with Hubbard squash was on the island of Jamaica, where this squash is called "pumpkin" and is made into a curried soup (substitute 4 cups of Hubbard squash for this recipe). See the nutritional chart below.